Homocon Milo Yiannopoulos Banned From Australia - Joe.My.God. The Morrison government has banned right-wing provocateur Milo Yiannopoulos from entering Australia in a fresh crackdown likely to infuriate his conservative supporters but please critics who believe he is anti-Semitic. The Sydney Morning Herald can reveal the controversial speaker was told this week his visa application had been rejected and he cannot enter Australia. 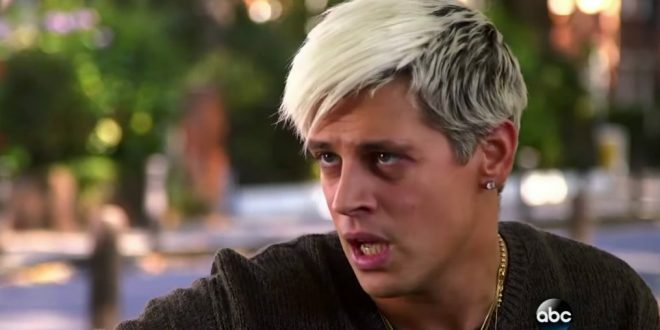 In June last year Paypal suspended Yiannopoulos after he used the online payment system to send $14.88 to a Jewish journalist. The number 1488 is used by white supremacists and neo-Nazis because ’14’ represents the mantra of securing a future for white children and ’88’ represents “Heil Hitler”.